Not only is it one of the most perfectly constructed foods (it's cheese and cream wrapped in more cheese), but, miraculously, it’s not that hard, and even kind of forgiving, to make. My first job out of college was at a fancy little grocery in Brooklyn where I cooked the prepared foods. One of the perks of working there was an endless supply of free coffee. I don’t drink coffee. So instead, I collected my employee freebies in the form of chocolate milk (I was a pretty sophisticated 21-year-old). 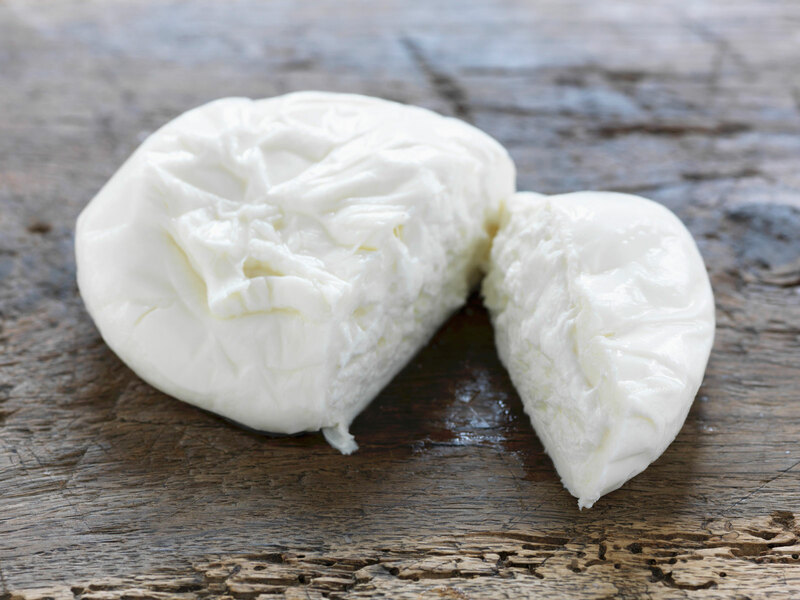 Not to brag or anything, but I kind of became known around the store as “that chocolate milk kid.” One day the cheesemonger strolled over to my counter and slid a freshly made ball of burrata onto my cutting board. I sliced into it, and out flowed a cascade of chocolate milk curds. Mind. Blown. Ever since then, burrata has held a special place in my heart. But here’s the thing: burrata holds a special place in everyone’s hearts. People are obsessed with this stuff, and with good reason. It’s literally cheese and heavy cream wrapped in more f***ing cheese, yet somehow when you stick a few slices of tomato or peach next to it, you can convince yourself you’re eating a salad. Amen to that. Not only is burrata one of the most perfectly constructed foods there is (the ratio of fat to salt to fat to more fat is really on point), but, miraculously, it’s not that hard (and even kind of forgiving) to make at home. I learned this from Zoey Sachs, who runs educational programming (including a burrata-making class) at New York’s Bedford Cheese Shop. To say that Sachs lives for cheese may very well be an understatement. She recently competed at something called the Cheesemonger Invitational, a nine-hour, decathlon-style event that she recounts with the same rapturous glee as a kid describing sleepaway camp (she likened the feeling of cutting a perfect quarter pound of raclette to the dropping the mic after a rap battle). This is the person I want teaching me how to make burrata. Here’s what I learned. Cheese curds. It’s possible to make these yourself (with milk, rennet, and citric acid), but Sachs says it’s not worth it. Just buy them online (where they tend to come in large quantities), or get a cheese shop that makes their own burrata or mozzarella to sell you some (3/4 pound of curds will make a decent-sized ball). You can’t freeze curds (it messes up the texture), so if you can only get your hands on a big bag, find a few friends to go in on it with you. Other than curds and a room-temperature pint of heavy cream, everything else you need is likely in your kitchen: a big pot of boiling water, mixing bowls, a large spoon, a sink, and salt. 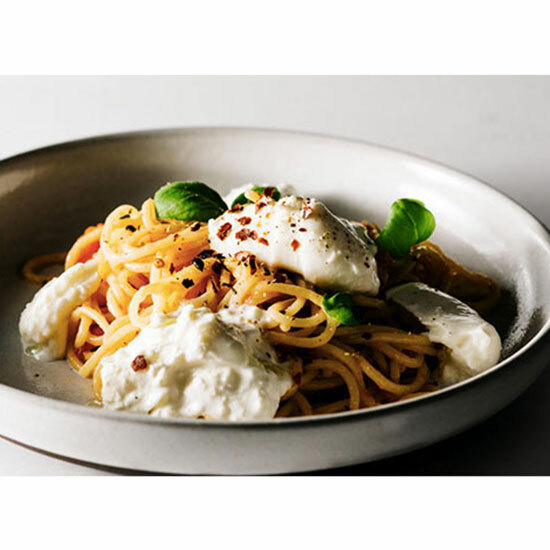 Stracciatella is the luxurious filling of heavy cream and shards of fresh mozzarella. The first step is to make a little mozz (you’re going to end up ripping it to pieces for the filling, so consider this part of the process a blessedly low-stakes test run for later). Start with a quarter pound of cubed curds, dump in some salt, and don’t be shy. Or as Sachs put it, “salt the f*** out of it” (you’ll see why in a sec). Add enough boiling water to submerge the curds; I just use a ladle to scoop the water out of a pasta pot. With a large metal or wooden spoon, start stirring and pressing the curds together until they cohere into a solid mass. At some point, the water will cool down enough that you can start using your hands to stretch the curd and fold it in on itself (dipping your hands into a bowl of cold water will help you tolerate the heat). When the water is comfortable enough to keep your hands in there, it’s too cold. Dump it (bye-bye salt), add more boiling water, and salt it again. The goal is to smush and stretch and fold the curd until there are no lumps or tears and it looks smooth and glossy. If you just wanted to make mozzarella, you’d pinch this into a ball, put it in some cold water, and call it a day. But who just wants mozzarella when you could have mozzarella filled with more mozzarella and whipping cream? Thought so. Stretch the hot mozz into a rope and tear it into thin strands like string cheese; the smaller you make them, the more cream they’ll absorb, which is what you want, so take your time). You can leave those strands as is, rip them into little shreds, or even chop them with a knife. Toss them in a bowl, pour in most of the heavy cream, and (if you’re like me and salt your instant ramen) add more salt. Full disclosure (at the risk of undermining this entire article), eating stracciatella out of the bowl with a spoon like it’s goddam Cheerios is one of life’s greatest pleasures, so if you choose to get off at that stop, I won’t be one to judge. Alternatively, if you wanted to make flavored burrata, you could add things like truffle oil, pesto, or, um, chocolate milk to the mixture. Enter at your own risk. This is the outside of the burrata, the mozzarella pouch that will hold the filling that you somehow just resisted the temptation to pour directly into your mouth. Start with a half-pound of curd this time, then proceed exactly as above, smushing and stretching and folding the curds into a smooth, glossy ball, dumping and re-salting the water as you go. This time, instead of ripping the mozzarella apart, you’re going to flatten it into a disk-like pizza dough, pinching it into a roughly six-inch circle that’s a little fat in the middle and nice and thin around the edges. If it rips, no problem; just dip it back in the hot water, press it back together, and reshape it. Once you have your disk, it’s time to “stuff the hell out of it.” You’ve got a few technique options here. If you’re feeling confident, make a big “c” with one hand and lay the disk over it, with the fat center over the opening in the “c.” With the other hand, grab as much of the stracciatella as you can (cream and all), and cram it into the center of the disk, pushing it down so that the stuffed part of the ball balloons down towards the palm of your hand. When you’ve stuffed it to the brink, pull the edges of the disk over the top, and press them together (dipping the top back into the hot water will help seal it). Do this whole part over the bowl of stracciatella, so if it happens to all spill out, you can catch that liquid gold and try again. Alternatively, you can lay the disk in small, deep bowl, which will naturally form a pocket for stuffing the stracciatella, and lets you fold and seal the edges with two hands. Either way, once the bundle of burrata is well sealed, submerge it in a bowl of cold water to tighten it up and ensure it stays closed. Your creation will last for up to five days in the fridge, but the sooner you eat it, the better. If it still needs salt, sprinkle some fat flakes on top. A little olive oil never hurts either. 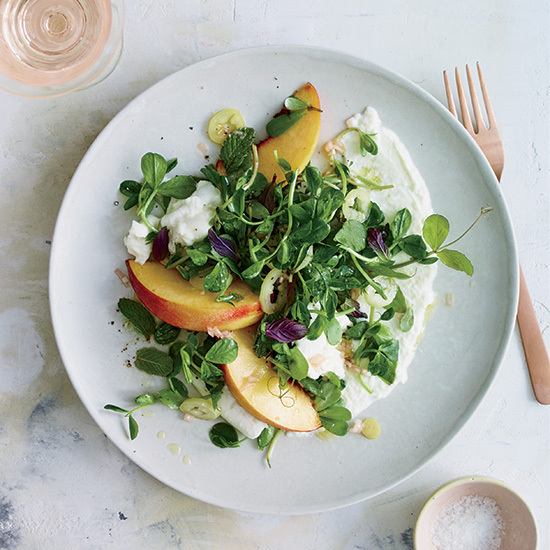 Serve it with crusty bread, tomatoes, stone fruit, arugula, or just lean in and eat it with a spoon. As for drink pairings, a crisp, dry white is lovely, as is a young, fruity red, or (obviously) a cold, tall glass of your finest chocolate milk. 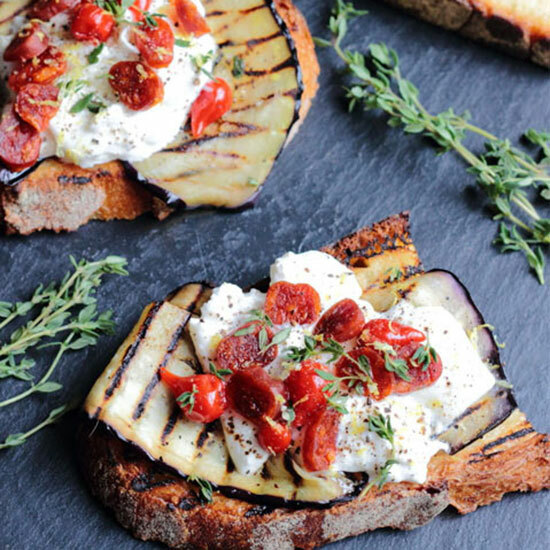 To put your new skills to work, see here for 10 of our favorite burrata recipes.